There are many who fly to far-off countries: some choose France to relax in the Cote d’-Azur; some want to go shopping in Milan. Our desires and needs vary like our tastes do. 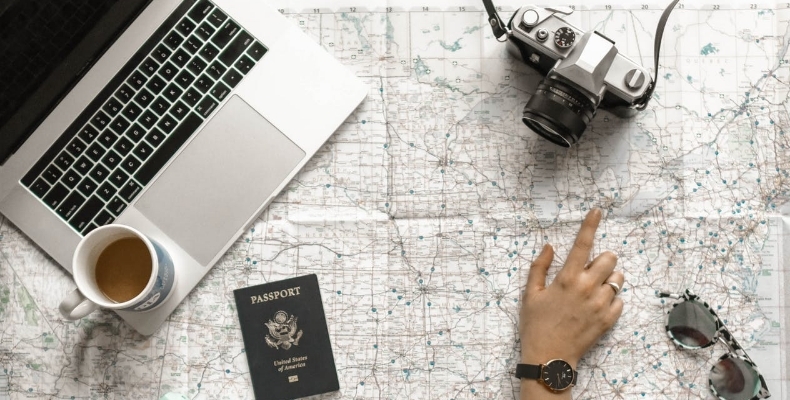 However, there are people who have to wrestle with the question “Where to go to gain a world-class education?” Studying abroad – what does it give in real life, not in a brochure? A real-life experience is shared by many students at StudyAbroad.com. You can read their study abroad testimonials, and realise if it is yours to go far from home to be immersed in another culture and society. While you’re considering the pros and cons of studying abroad, we suggest that you look at the possible free programs to study abroad. There are two ways of getting a degree in a foreign country, the former allows to get scholarships, the latter attract students by means of an exchange between home and partner institutions. All these places where you can study for free are dotted around the world. You can choose something that is close to your native country or vice versa. Alternatively, your ultimate choice can be based on the best student cities list in 2018. You would be surprised by the number of possibilities open to you. It is just worth looking for them everywhere. According to the list of the best student cities we provide to you above, London is considered to be one of the best cities where you can study. Isn’t it wonderful? The given university is a global one. Take into consideration the numbers – 39% of all students at City are from outside the UK. Some partnership exchange and study abroad programs can be offered. Taking part in these programs is a great way to get new English university experience, speak to colleagues in the study field from the UK and benefit from the expertise of the academics at the university. Additionally, some scholarships and grants are available to support students abroad. If you familiarise yourself with the criteria and application procedure properly, you’ll become closer to the chance to study abroad. Today, Germany is well-known as a great place with not only the best cars in the world, but the world’s best universities are also situated in this developed country. So, don’t miss the opportunity to study at Freie Universität Berlin. Every year, students come from more than 80 countries all over the world. Want to be among them next academic year? Get acquainted with its undergraduate and graduate degree programs that operate in a large range of subjects varying from History, Philosophy to Mathematics and so on. Despite the fact that an international student has the great chance to learn a foreign language, you should have prior knowledge of the German language. In some cases, some additional language tests are required to be passed before an application procedure starts. Even if you want to know the application requirements, you should know German. initially, you can use some help from the online Google translator, but then you need to speak German fast and with confidence. French study abroad programs are concentrated on attracting international students to interesting cities. Paris is one of the most attractive French cities that is worthy of your attention. This university is internationally open towards foreign students from the third countries. Some scholarships are granted by the European Commission for some Master’s and Doctorate’s degrees. If you intend to study at the Paris-Sud University, you can apply for the Paris-Saclay scholarship or to the Eiffel scholarship to cover your living costs. Just make sure that you meet the eligibility requirements. Additionally, you can receive some financial assistance for your studies abroad from your home institution, government or a particular French Embassy. Canada is a large country that thousands of students can come to with the aim to study and explore such a great place with its cultural, social diversity – it is a place where North American innovations are combined with the irresistible European charm. For example, the University of Québec at Montréal welcomes more than 3,500 foreign students from 90 countries every year. Is it impressive? But it isn’t surprising that this number of students tend to get degrees here as the world-class education in all fields of study is guaranteed. Moreover, the solid financial aid can make your university studies successful. What country is more involved in extensive international initiatives than the USA? A number of internationally recognized and globally engaged study programs are available in America. The University of Illinois at Chicago offers undergraduate and graduate degrees in a wide variety of subjects from the arts, humanities to sciences, technology, healthcare. The only you need is to meet the admission requirements (writing an application essay, providing an official high school transcript, etc.) and pass the English proficiency test. While studying abroad in well-developed countries like Canada, the USA or UK, France, Germany and many others, keep in mind that you can enhance your potential career and financial possibilities after the graduation date. However, you shouldn’t forget about excellent academic records that you are supposed to have while applying for a study abroad program and during the studying process as well. You may ask, “Who could help me?” We have a good solution for you. There are many services that can contribute to your great academic performance, among which custom written papers service plays a crucial role. Open many doors with the real team of professionals!